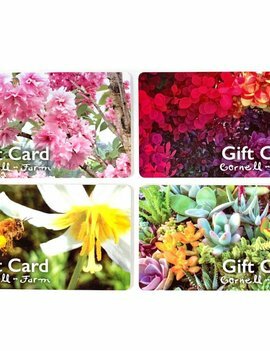 Our beautiful gift cards are the perfect gift for any occasion! 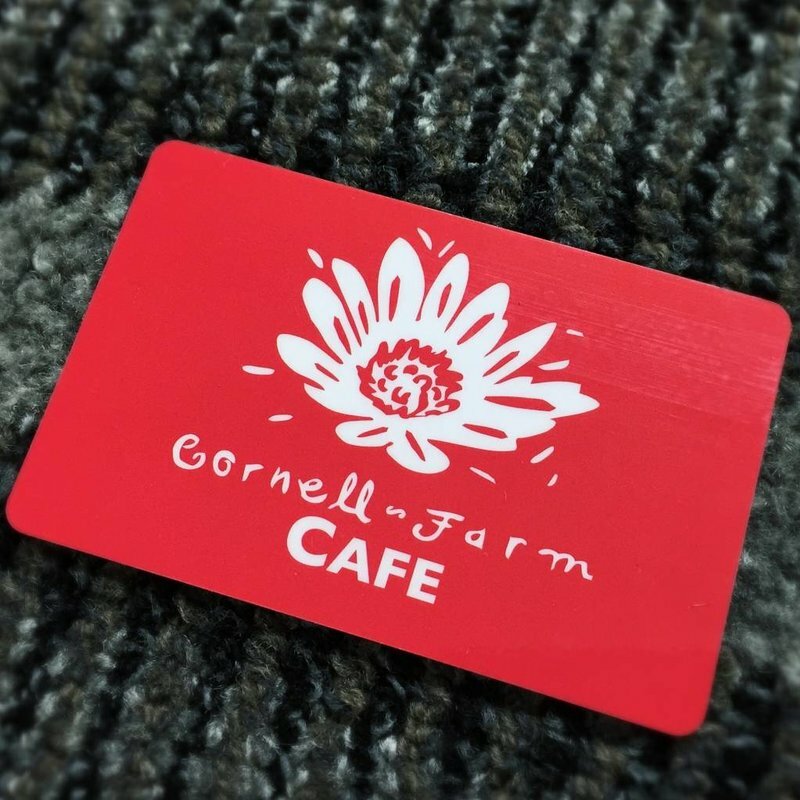 They are redeemable for everything at the Cafe at Cornell Farm! Delivery time: Usually ships in one business day. 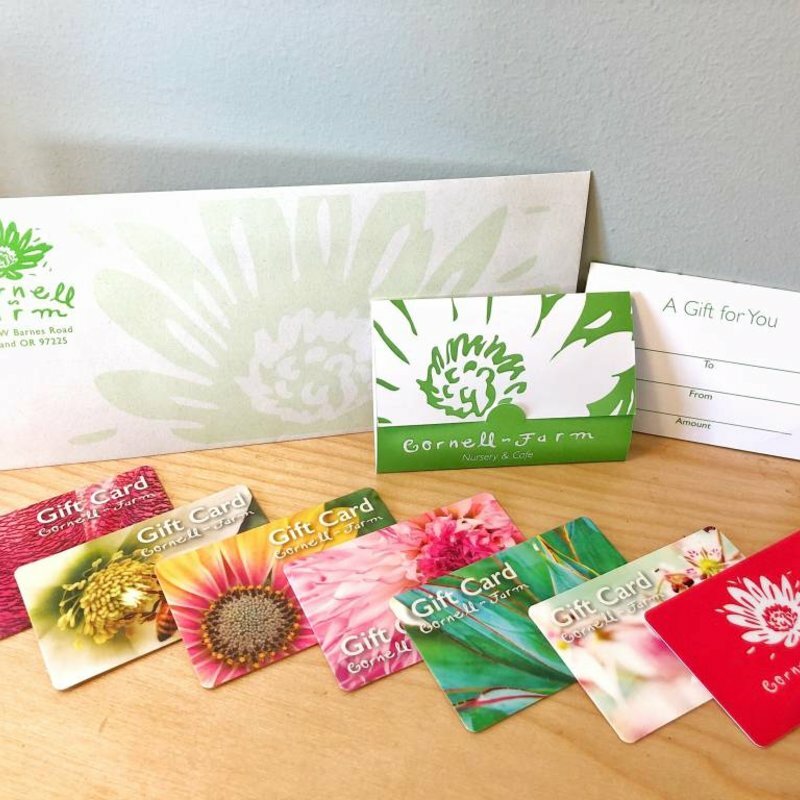 During the checkout process, you can choose to have the gift card mailed to you with the enclosure left blank, or if you'd like to have us mail it directly to its recipient with its enclosure filled out with "to", "from", "amount", and an optional gift message. 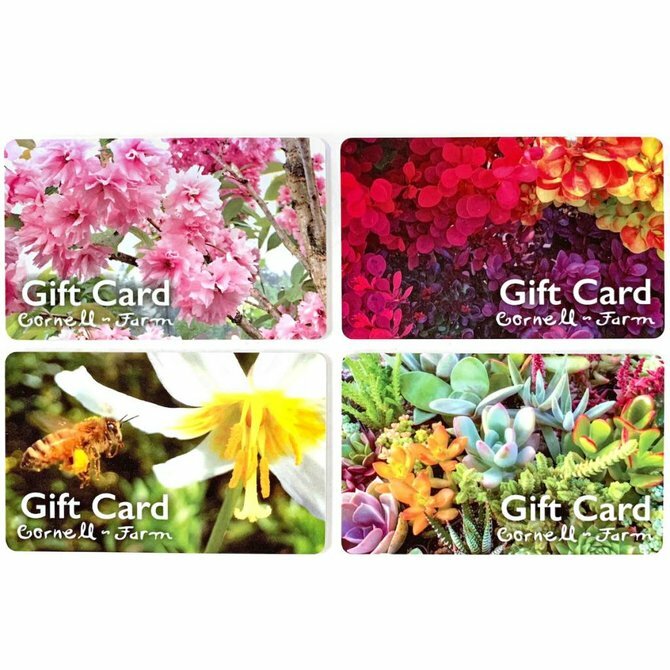 Our beautiful gift cards are the perfect gifts for any occasion! 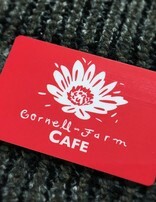 They are redeemable for everything here at Cornell Farm! 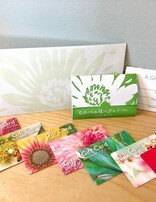 Note: Honeybee is sold out.